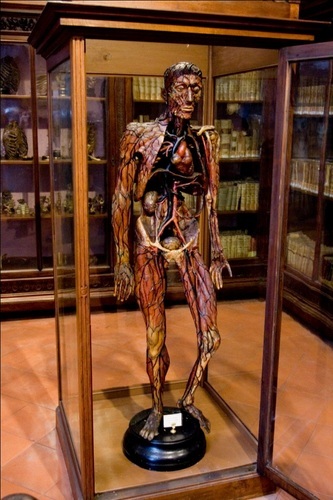 This item belongs to the anatomical wax collection of the Museo anatomico in Naples. This model shows an entire male body in realistic proportions. As well as many other items of the collection, is made of wax. The blood circulating system is the most visible part.